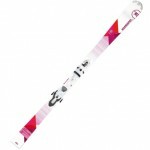 The redesigned female optimized version of one of the most popular all mountain powder skis have hit the market. 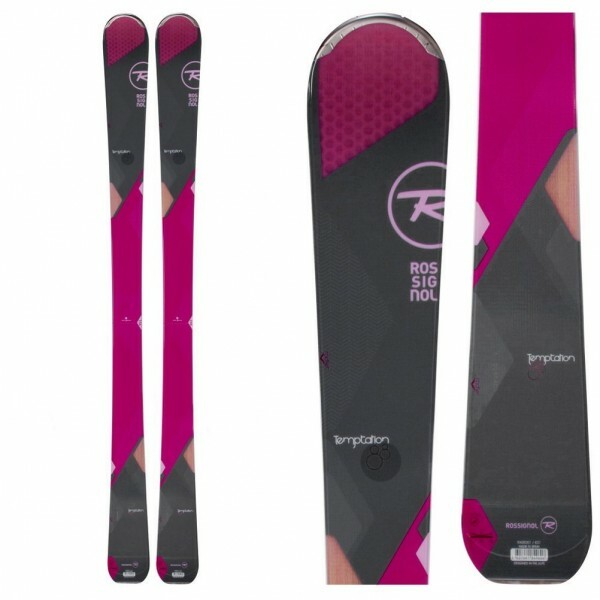 Thanks to the extent of the sidecut at the tip and tail and subtle tip and tail rocker, the Temptations are as easy to get on edge as even the most playful all mountain skis. However the extended sidecut isn’t only to better turn initiation, because of the unique ski shape more edge is engaged, and thus, higher speeds can be achieved. Even at these higher speeds, the Temptations retain their legendary stability that ‘is a whole lot of fun’ according to our park expert. If you need more proof that the Temptations are truly a fun-loving ski, evidence can be found in their tips. Air Tip and Tail technology drastically reduce the overall weight of the ski, increasing float and versatility. Truly a great all mountain ski for all the girls out there!